From arts and culture to business and education, those who live in Downtown West Chester have easy access to some of the region’s leading opportunities for enrichment and entertainment. Sharples Works is right in the middle of all of the action, letting residents take advantage of all that the region’s premiere downtown area has to offer, while also offering a restful respite from city living. 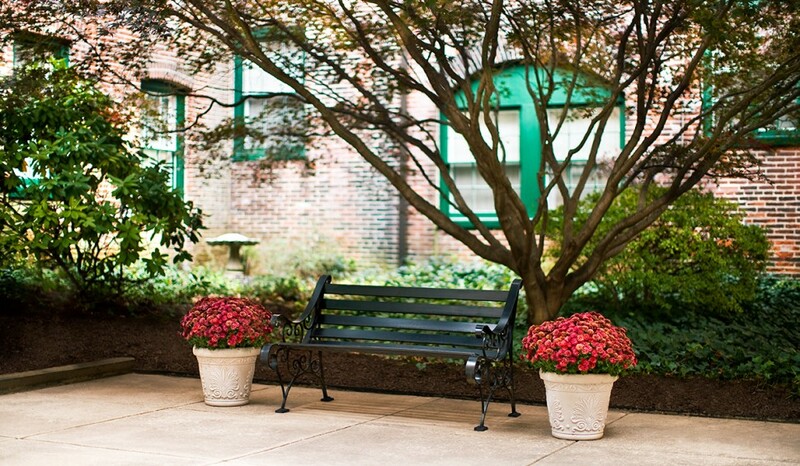 Here are a few of the best reasons to live in Downtown West Chester. West Chester, PA—home to nearly 20,000 people and the county seat of Chester County—has lots of small-town charm with the added convenience of being close to Philadelphia, PA and Wilmington, DE. Family-owned shops and restaurants are situated throughout the neighborhood, and nightlife options offer a familiar, friendly vibe that makes everyone feel welcome in Downtown West Chester. In keeping with its small-town charm, Downtown West Chester places a heavy emphasis on community. There are frequent community events, such as concerts, festivals, markets, parades, races, and more—many of which take advantage of the neighborhood’s many large public spaces and parks. Downtown West Chester is home to more than 75 retail shops and boutiques, featuring a wide range of goods and services at varying price points to meet every shopper’s needs. Whether you’re in the market for home goods or holiday gifts, a stroll through the borough will have you covered. Shoppers who work up an appetite can stop into the more than 65 eateries in the area—or try a new one each day for a new culinary adventure! The entertainment options are just as diverse as the shopping and restaurant scenes. From bars and clubs of all sizes to comedy clubs and concert venues, those who live in Downtown West Chester have ample entertainment at their fingertips. Downtown West Chester is a hub of economic development for the region, with businesses large and small offering jobs and innovation. If you’re looking for the perfect place to live in Downtown West Chester, contact us today to find out more about Sharples Works and to schedule a tour!